In recent years, Lombok is getting more press and recognition in the tourism industry as a top travel place, where many people are touting it as the next Bali or the alternative to Bali or the Bali before the commercialization. Though Lombok itself may not appreciate such references but it cannot be helped as it is located right next to the famous Bali that needs no more introduction in the world tourism. 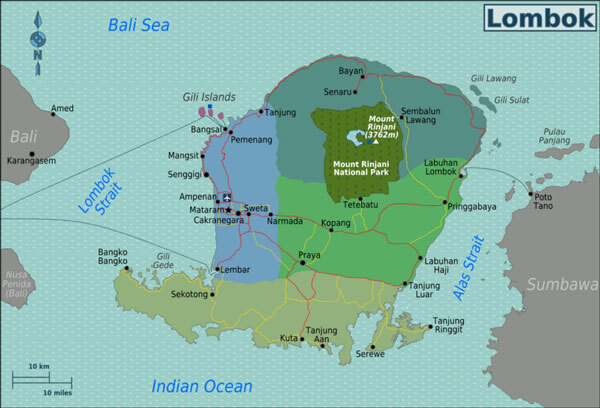 That said, Lombok had actually been famous in the circles of independent travelers for many years. Everybody knows this so called best kept secret which is not much of a secret anymore. this is because Lombok has lots to offer from beaches to diving spots to surfing and even a volcanic mountain, Mount Rinjani that is famous for hikers and trekkers. 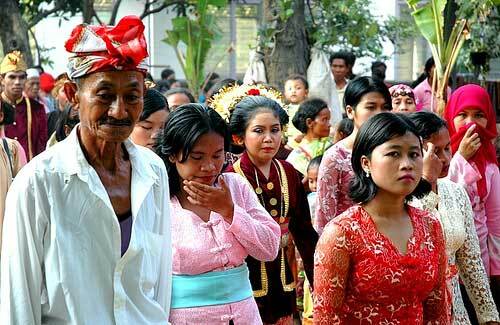 The indigenous Sasak takes up 90% of Lombok population and are Muslims with their own culture and language. The name Lombok is actually derived it which literally means straight (ahead). But more tourists said that the name actually means chili as it means so in Bahasa Indonesian. Nevertheless, both holds some form of meaning and relation to this island. Located between Bali (east of) and Sumbawa (west of), Lombok is the best of the both worlds. Relatively still unspoiled in comparison to its neighbor Bali, Lombok boasts many natural tourist attractions like beaches, waterfalls, volcanoes and mountains and crystal blue sea. Besides the local culture from the indigenous Sasak is very much still alive and the way it from old times while the businesses around is still very much run by the local people. Come here for the famous tourist attractions in Lombok like the three Gili Islands that so many travelers talked about, the magnificent hike up Mount Rinjani, surfer’s paradise at Kuta beach, and beautiful beaches at Senggigi’s long stretch of sweeping bays. Most of the time is a good time to go to Lombok, being like the rest of the Indonesian weather and climate, it is dry and hot with then some rain at certain times of the year. The best time to go to Lombok would be the dry season if you want to fully enjoy every moment and that is June – February. Though peak season will see many tourists especially during July/August or December/January. Also, come here during February or March, to catch a glimpse of the first nyale (wormlike fish) at the huge fishing festival. The indigenous Sasak people of Lombok will commemorate a mythical princess who had drown in these waters to escape a politically arranged marriage. This festival is done the same time with the season of these wormlike fish, where they are caught and eaten roasted in banana leaves with much enthusiasm. Mawun Beach – this quiet and beautiful beach is one of the favourites of independent travelers as it has yet been touched by mass tourism with fewer people, clear waters and soft white sands. This is a kind of protected cove that is ideal for swimming as the coral/rocks are far out. Though be careful as the place is quiet, there are reported thefts around when things are left unattended. Sendang Gila Waterfall (or Sindang gila), which means slightly crazy waterfalls. If to go with its namesake, it is crazily beautiful with tall and looming waterfalls amidst the jungle backdrop. Unfortunately though the place is now well known thus tourist touts haunt this place. 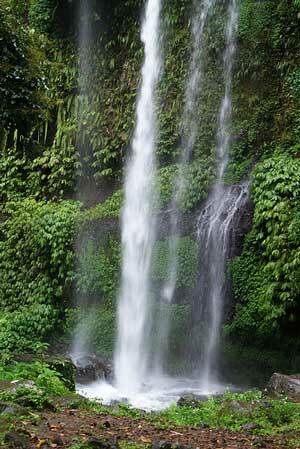 Air Terjun Tiu Kelep (waterfalls) are your next best choice if you want a less touristy alternative. This waterfall is another 1-hour walk in and it is advised to get a local guide to show you the way as the path could be tricky. Here you will have a deep pool to swim in or for the adventurous to jump off the rocks or use a tunnel with the concrete shoot as a water slide. Sukarare – for those who are interested in local arts and handicraft, here you can find a weaving village in Desa Sukarana (village). The things here are cheaper in compared to shops in Senggigi. Diving – Lombok is one of the best diving sites in Indonesia, having features such as drop-offs, plateaus and slopes among fascinating corals and diverse marine lives. You may find Hammerhead sharks here and other wild marine life. Surfing – also another top with being one of the best place to surf in Indonesia, Kuta beach is known as the surfer’s paradise. One of the famous secret yet not so secret anymore surf place is The Desert Point. 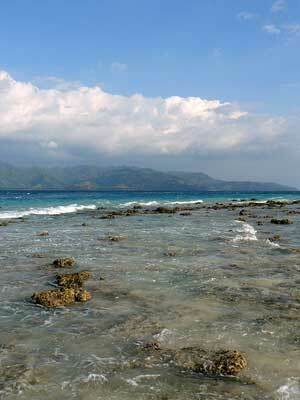 There are also good surf breaks here in surf spots like Mawi, Mawun and Point X along the southern coast of Lombok. 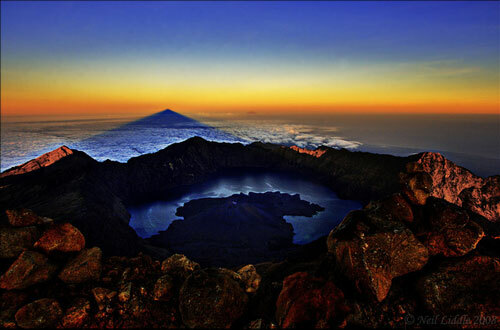 Trekking Mount Rinjani – the second highest volcano in Indonesia after Mount Kerinci in Sumatra, is one of the most popular volcano trekking in Indonesia. This is because it offers amazing adventurous hike that promises breathtaking view at the peak. The demanding trek that requires two days to conquer the mountain will make it all worthwhile when greeted by the view at the summit. Most people stay around Senggigi beach area * in Lombok, with its variety of accommodation choices as well as restaurants. 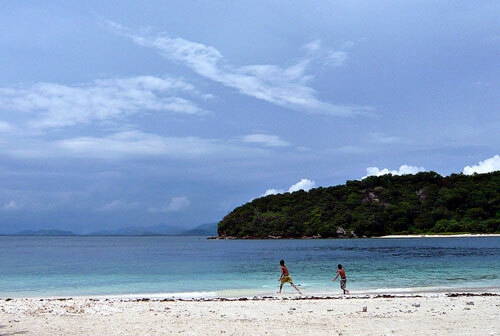 Another choice would be to stay at Mangsit beach, where there are many choices in from mid-range to budget. If you want to go for more hype then the upcoming place is Kuta, Lombok *. 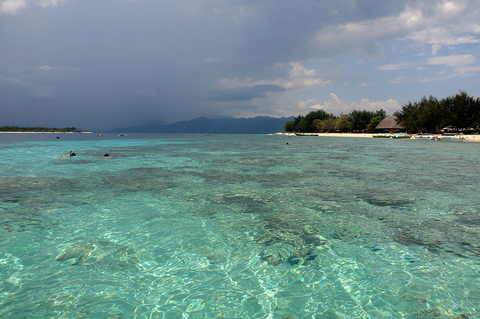 Many travelers also choose to hop over to Gili Islands *as a place to stay instead. For those looking for the perfect getaway, be it for honeymoon or special occasions. This hotel comes with tastefully designed private villas with an amazing sea view. The outdoor pool also gives an illusion of nature, while a private beach is just a stone throw away. For those looking for world class hotel with unique Lombok style, with its refusbished temple restaurant and other historical buildings. The infinity pool also overlooks the ocean and the service here is hard to top, they will go out of the way to make your stay enjoyable. For those looking for tranquil beach resorts, every villa comes with natural wood design with a garden or ocean views. It has also an outdoor pool with an amazing seaview, and located directly on Mangsit Beach. There’s also all kinds of amenities from spa to gallery and restaurants. For those looking for a beachfront resort with Lombok style and charm. Go straight for the sunset and ocean view resorts for the ultimate experience overlooking the ocean and Mt. Agung in the distance. This is a place for some quiet relaxation, soaking in a pool overlooking the oceans with green surroundings. For those looking for Lombok version of bed and breakfast, this resort place comes with the famous Lombok thatched roof rooms with air-conditioned. There is are also terraces and pool for relaxation and breakfast is also included in this home away from home. For those looking for a resort stay in Lombok but with a budget, this boutique resort is really well located, with Mangsit Beach just 3 minutes away. It also comes with terraces and balconies and a pool to relax in. Value for money! Lombok work holds similarity to the word chilli, and what more than to pay homage to its name and give yourself a taste of it. Be careful you might get burn but it is worth it as it comes in a form of sambal that unsurprisingly the locals know well to make it dangerously delicious. Sambal is a spicy condiment that you may dip with most of your local Indonesian food or it may be also cooked into some dishes already like curry or grilled meat. Best local dish is ayam taliwang, which is chicken coated with a rich red sauce of galangal, turmeric and tomato, and it can be hot or not depending on where you get it. 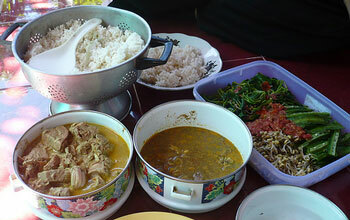 Generally, inexpensive food to eat here is the mixed rice (nasi campur) where you can choose a variety of dishes of meat and vegetables to go with your rice. Sambal would be your universal condiment of choice here. Lombok has its own international airport (Bandara Internasional Lombok), Indonesia domestic airlines fly from places like Bali, Jakarta, Surabaya and Medan. International flights are limited to Singapore by Silk Air and Kuala Lumpur, Malaysia (with a stop at Surabaya) by Garuda Airlines and Air Asia. There are seasonal charter by Nordwind Airlines to/fro Russia. Take note of departure tax of around 25,000 Rp for domestic and 100,000 Rp for international. Check here for visa requirements to Indonesia. From the airport to the center of Lombok, you may take the airport bus that serve routes to Mataram or Senggigi. Else you can always opt for taxi, though be careful and look for genuine ones or metered taxi. You can take ferries from Bali to Lombok, which departs every hour and take about 4-5 hours at the cost of around 36,000 Rp. There are also fast boat options from Bali to Gili Islands in Lombok. There are also ferries that connect Poto Tano in Sumbawa to Labuhan in Lombok. Perama tour is the largest orpeator in this where it also serves from Bali. Bemo – the usual popular land transport for Indonesia, a sort of minivan that normally covers short distances in a place. Here you can go from Ampenan to Senggigi for a bout 5,000 Rp per person. Again take care of your belongings as you use this crowded public transport. Car – you may hire the usual Bluebird taxi or Express taxi to go around Lombok on ad hoc or you can rent a car which cost from the range of 150,00 Rp to 450,000 Rp depending on type. It would be best to also hire a driver as driving here is quite challenging with ambiguous roads system. Motorbike – you may also rent a motorbike from various places costing around 50,00 Rp, do take great care when riding around as the roads in Lombok is not well maintained while the motorists can be quite notorious sometimes. You may also hire ojek (motorbike taxi) as you go. Horse cart – may seem like a novelty but it is quite common here for short distances. It is known as cidomo. Just agreed on a price before climbing up. Boat – you may hire boats to connect from Lombok to various islands. Traditional fishing boats known as perahu can be chartered or you can talk to the owners directly. Gili Islands – just off the coast of Lombok and not too far west from Bali, these islands are the best bet to get your ultimate remote islands exprience. 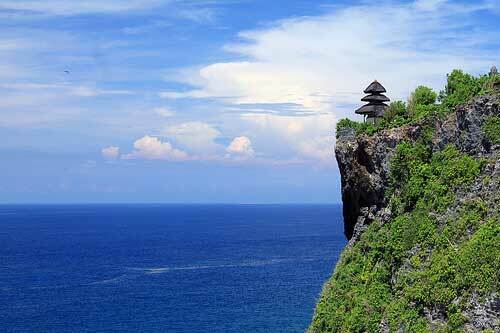 Bali – this famous next door island has actually many to offer. Check out our Top 10 Must Visit Places in Bali. Flores – Visit Flores for the almost untouched island, where you can trek to see the Tri-colored lakes in Kelimutu, Komodo Dragon, swim in calm pool with waterfall backdrop, enjoy your meal and mingling with locals amidst view of lush paddy fields and smoking volcanic mountain. 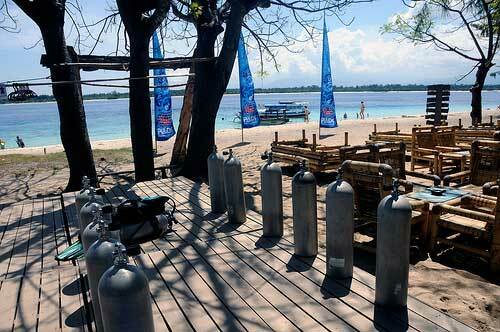 You can even dive or snorkel off various amazing dive sites. 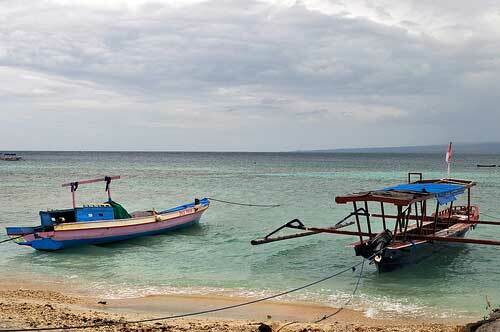 Sumbawa islands – an island truly off the beaten track to further challenge Lombok in this arena. It is also known as one of the best places to surf in Indonesia and even the world. The place may be lacking in facilities but it made up in natural beauties. For women and solo travelers, try not to go to quiet places in the dark. Language can be tough here as most people speak only Sasak instead of the usual Bahasa Indonesian or what more English. Also, dress appropriately to respect the custom, especially when visiting holy places, but generally as well as revealing clothes are not recommended. 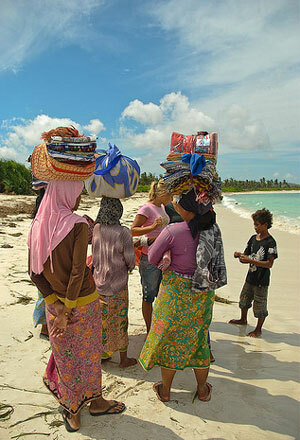 The tip is to carry a sarong or a shawl around all the time so that you can wrap on over swimwear or whenever needed. Also note that there are no alcohol serve on this island. There are also reported cases of dengue fever and malaria. With even more things to do in Lombok, one can see how it is such an exciting place to visit. In short, come to Lombok to escape the tourist crowds, for the beautiful beaches, the powerful waves for surfing, the untouched sea for diving, magnificent waterfalls and unchanged culture and people under the wonderful weather of sun and breeze. I plan to go this June! This has been so great! Thank you!